The Born Brompton is a very comfortable fitting shoe. I've had a black pair for about 4 months; my feet say they fit and feel awesome! 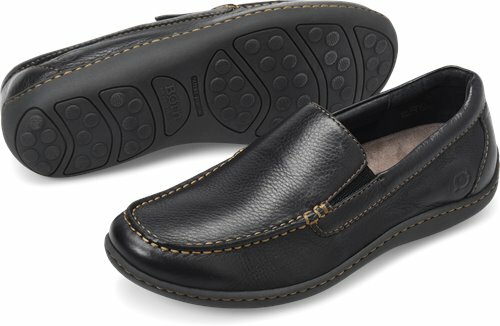 The soles on these shoes have very good cushioning which provides a lot of comfort for my feet. I just purchased the Brompton in Mahogany color for more versatility. I'm fast becoming a big fan of Born shoes! Both feet have been thanking me profusely!! In my opinion these are the the best shoes I've ever owned. Although they are bot exactly my style I'll wear them with pleasure. I used to have tired and somewhat painful feet by the end of the day but now that's a thing of the past. Amazing what a well crafted, comfortable pair of shoes will do for even your disposition! Thanks Born! !